I JUST bought this skirt from Target but I didn’t get it with the matching top. It’s making me second guess myself!! 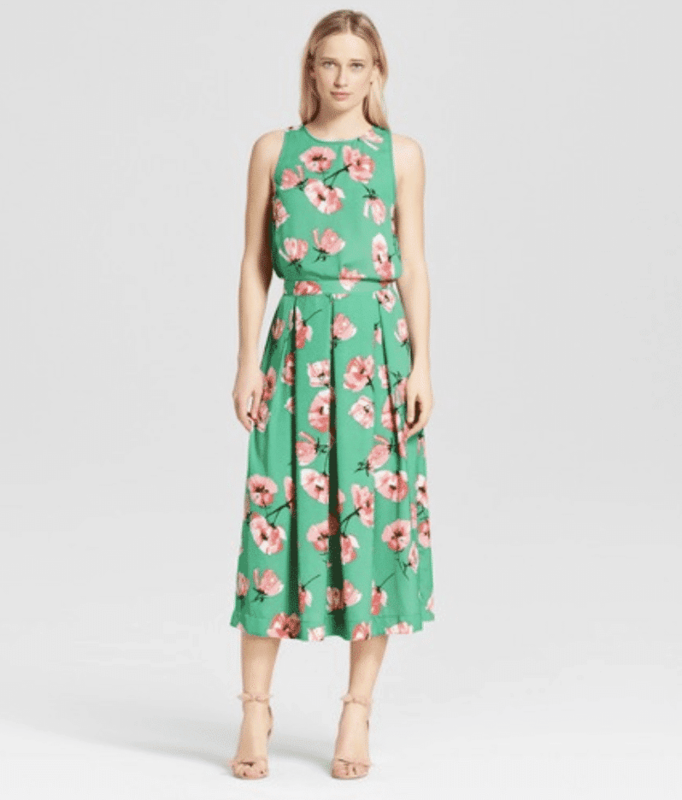 I really like the way the Birdcage Midi Skirt – Who What Wear Tulip Print looks like a complete dress in their stock image?? I might have to go back. I’m heading down to Disney today and packed everything but the kitchen sink. It didn’t fit! 🙂 For about three weeks, I’ve been purchasing and returning an insane amount of clothing because I wanted to make sure I had what I needed to feel confident while presenting at the conference. Hundreds of women are heading down with their families and the last thing I need is to worry about what I FEEL like in my clothing. Confidence can KILL just about anything… if you lack it. So, I don’t want any clothes that fall incorrectly on my body. As I walk around on the stage, I want to worry about my speech… not my silhouette. This skirt is one of two looks that I brought down with me to Florida. Final contender! Did I mention it’s under $30? Style, confidence booster, and a pretty great bargain. I call that a win.